Happiness and Employee Engagement; Mutually Exclusive or Necessary Partners for Organizational Success? Join our free webinar on Wednesday, June 28 for an in-depth look at employee engagement and how to foster organizational success. Our speaker, Robin Schooling, will share her extensive experience with employee engagement across industries and her insights into the role of happiness at work. Who should attend? This webinar is for talent managers and HR professionals who want to get a better understanding of the relationship between happiness and employee engagement to drive better business results. Join us on Wednesday, June 28. Robin has extensive experience in a variety of industries including gaming, banking and health care. She’s a regular speaker at HR, Recruiting, and business conferences, has a popular HR blog at robinschooling.com and is on a mission to make organizations better by making HR better. The Huffington Post named her one of The Top 100 Most Social Human Resource Experts on Twitter and Glassdoor called her one of the 2015 HR and Recruiting Thought Leaders to Follow. She’s been interviewed, quoted by, or has written for numerous entities including Yahoo, CareerBuilder, Monster, HRM Online Canada, Certified Magazine, HR Examiner, SHRM and Recruiting Daily. 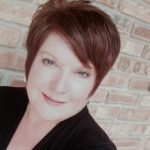 She serves on the Advisory Boards for HROnboard and BlackbookHR, is the current Ringmaster at the Carnival of HR, is active with the ATD Baton Rouge chapter, has been an involved SHRM volunteer leader, and once upon a time received an award as “HR Professional of the Year.” She has been known to search out the perfect French 75 and is a fervent and unapologetic fan of the New Orleans Saints. Cornerstone OnDemand (NASDAQ: CSOD) is pioneering solutions to help organizations realize the potential of the modern workforce. As a global leader in cloud-based human capital management software, Cornerstone is designed to enable a lifetime of learning and development that is fundamental to the growth of employees and organizations. From recruitment, onboarding, training and collaboration, to performance management, compensation, succession planning, people administration and analytics, Cornerstone is there at every phase of the employee lifecycle.